1962 the remains of 6 persons, embedded in red sand, were found during construction work on the vineyard at Groß Fredenwalde. In two cases, one adult was buried togeth er with a child. The products were bone pfriemen, flint blades and tees. On a skull, pierced teeth were strung in the forehead and temple area. They were obviously worn on a ribbon threaded as headdress. The funeral took place about 8000 years ago. At that time it was a surprising discovery and the multiple tomb had to be salvaged makeshiftly. Therefore, the exact location of the individual skeletons is not known. In 2012, Archäölogen studied the old yielded on the vineyard for the second time. Animal tooth pendants and other burial gifts were found. In addition, further untouched discoloration has been found in the immediate vicinity. 2014 managed to expose two more human graves. View of the researchers there is only one explanation for this unusual position of the bones: the corpse of the CA. 1.60 m tall man must have been placed upright in a deep pit with some stone knives as an addition. Presumably the dead man was leaning against the wall and filling the pit up to the knees with the rich. It was only when the corpse had decayed that the pit was finally covered with Earth, and the relatives lit a commemorative fire over the tomb at the end of the funeral ceremony. The small yielded is a little month-old baby sprinkled with red paint before the yielded was poured. The red color could symbolize blood and life. The small tomb, with an age of about 8400 years, has been the oldest burial site found, and was perhaps the occasion to create a real burial ground for the group on the vineyard, which more often moved their storage bins as collectors, hunters and fishermen. 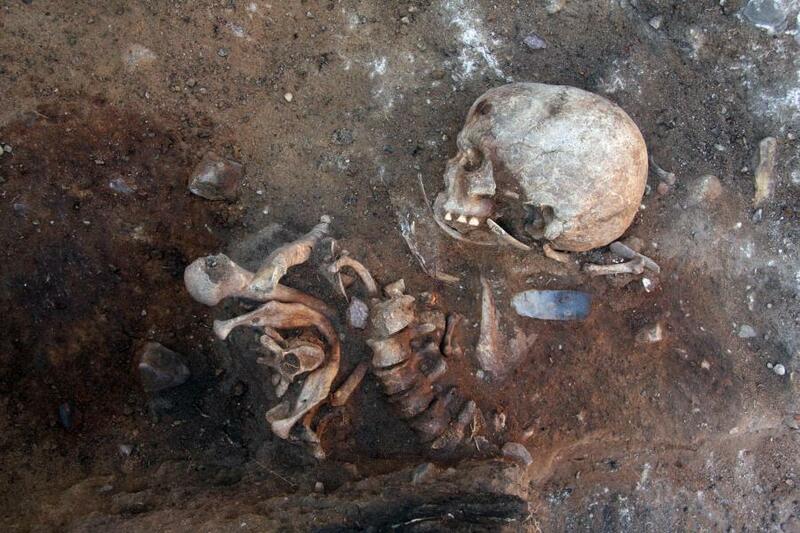 "It is the earliest known child burial in central Europe that we know", says the Brandenburg state archaeologist Professor Franz Schopper. Prof. Thomas Terberger has inspired the excavations on the vineyard and is conducting the investigation. 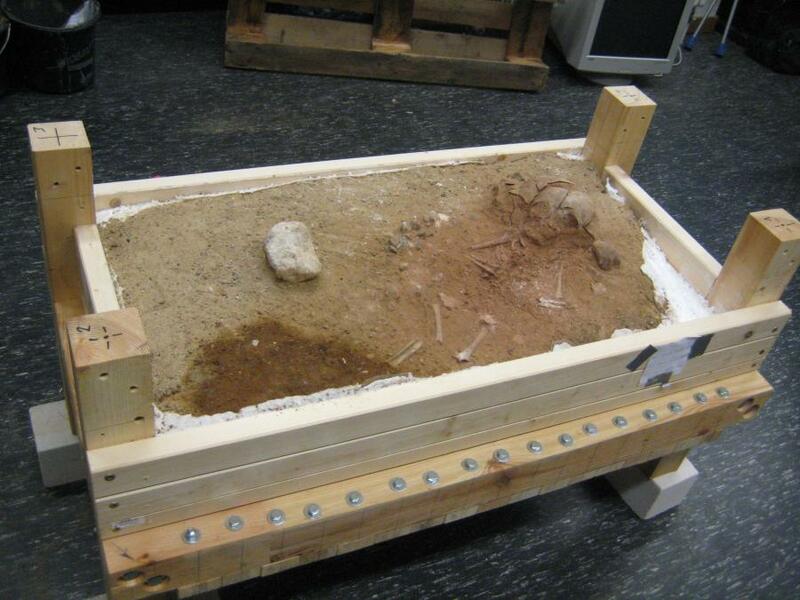 "We managed to track down the oldest burial field in Germany. 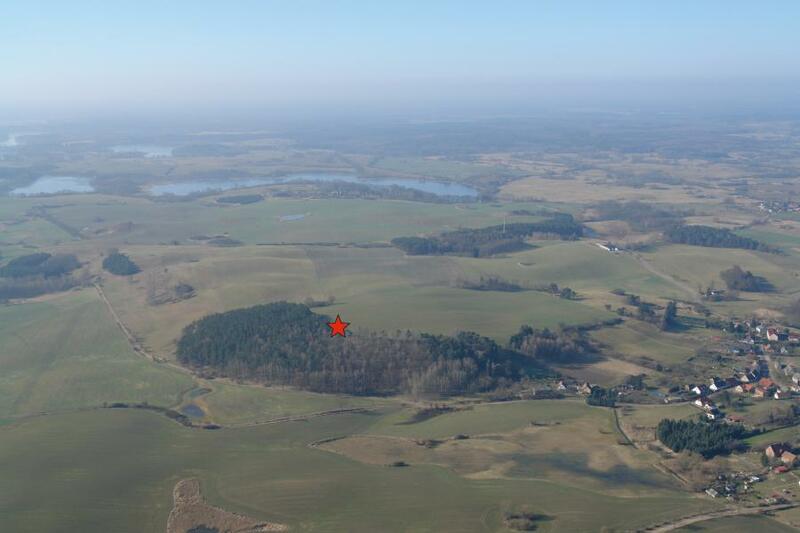 The discovery will revolutionize our knowledge of the mid-Stone Age. " For Professor Terberger, the discoveries were a very special experience. Two special intakes had come to light. The remains of the middle Neolithic people give us manifold insights into life before this long time. Today, scientific methods can be used to elicit exciting insights from the skeletons. Thus, the evaluations have not yet been completed and there is a suspicion that there are still other surprises waiting for their discovery on the vineyard.